Unparalleled power to weight/size ratio for general mechanic applications in confined spaces Chicago Pneumatic, since 1901 a quality leader in high-performance air tools, is launching the CP7732, an ultra-compact and powerful impact wrench designed for difficult work in confined spaces. At only 4.4″ long (112 mm), this stubby powerhouse is ideal for transmission, engine, and brake work. Small, yet amazingly powerful, the CP7732 ½” ”Stubby” impact offers an excellent power-to-weight/size ratio. With an extraordinary 450 ft-lbs. (610 Nm) of torque, and weighing only 2.9 lbs. 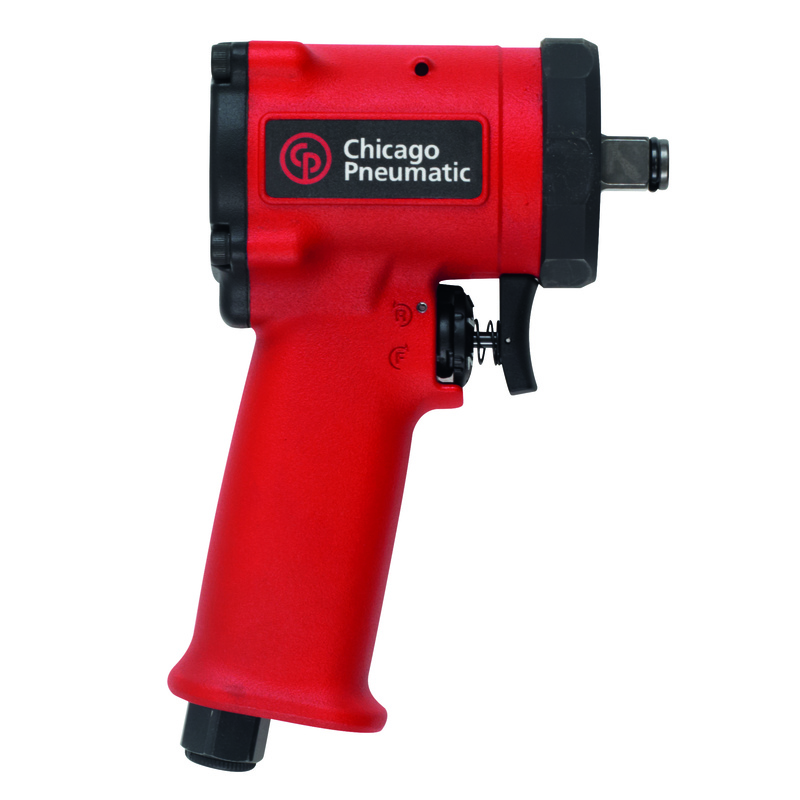 (1.3 kg), this new addition to the Chicago Pneumatic product line can easily remove or tighten fasteners in the most difficult to reach applications. 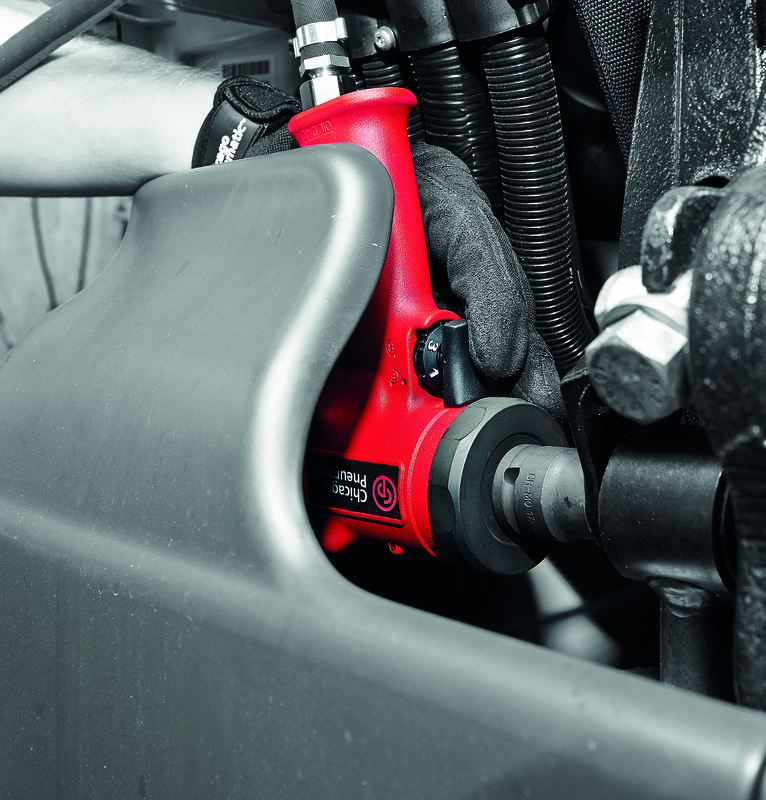 A unique feature of the CP7732 is the ability to quickly change tool orientation for either right or left handed use. This user-friendly feature compliments the single handed trigger which offers 3 power settings in both forward and reverse. The Jumbo Hammer impact mechanism provides both exceptional power and durability at 9000 rpm. In addition, the steel and aluminum construction of the CP7732 provides ultimate tool durability. Smaller than your fist, the CP7732 can fit virtually anywhere you hand can! It’s the must have tool for every mechanic’s tool box, allowing them to work in tight spaces that are otherwise unreachable with a standard ½ impact wrench. Since 1901 the Chicago Pneumatic (CP) name has represented reliability and attention to customer needs, with construction, maintenance and production tools and compressors designed for specific industrial applications. Today, CP has a global reach, with local distributors around the world. Our people start every single day with a passion to research, develop, manufacture and deliver new products that are meant to meet your needs not only today, but tomorrow as well. To learn more, visit www.cp.com.